This pen has a classic old-world feel but new world precision. 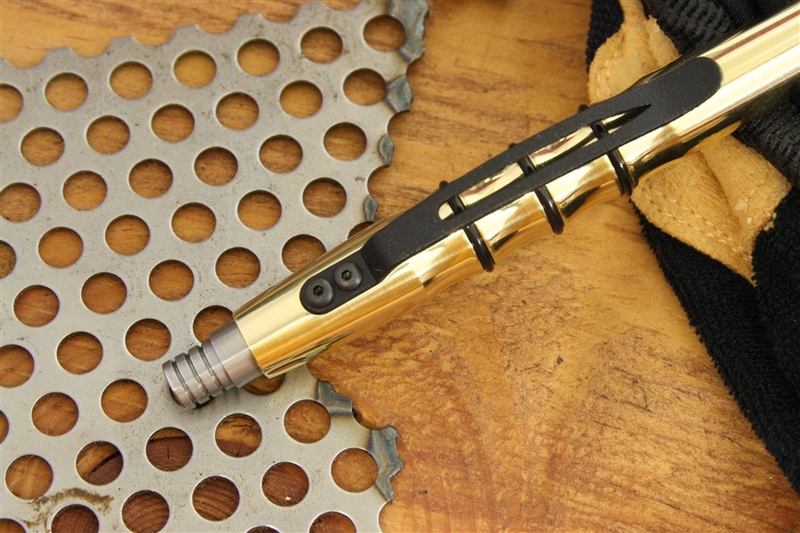 The best part is that the design of this pen allows it to be operated one handed and still fit into virtually any shirt pocket although the material makes gives it a solid feel. Simple, functional and elegant all at the same time. There are no identifying marks, no logos and no engravings on this pen. 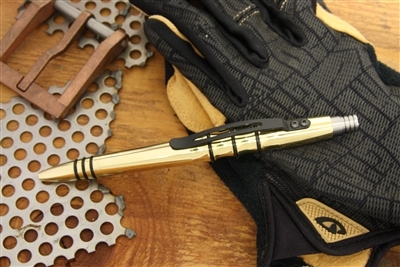 Behold the Brass Tuff Writer Precision Press Pen... old world material meets space age machining and a buttload of hand finishing. 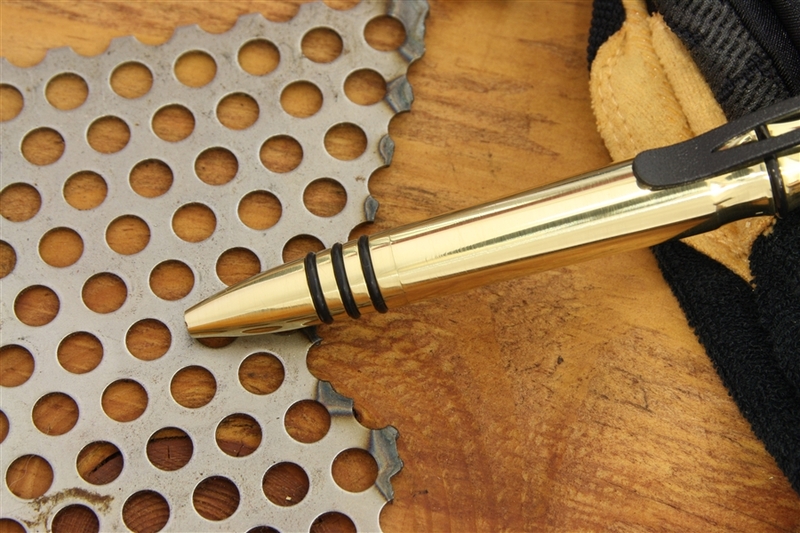 Precision machining with a steam-punk twist. Classy and bold at the same time. There's nothing quite like it. I saw your work at the LA International pen show and wished I’d seen your selection first. Your pens have the style, weight, and durability I was looking for the whole day. I couldn’t wait to order when I got home from the show. Thank you so much.